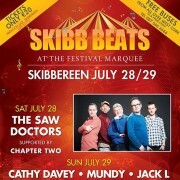 Skibb Beats will take place on the 28th & 29th July in the Fairfield Skibbereen. Come see The Saw Doctors, Mundy, Cathy Davey and Jack L bring the town alive! Tickets are just €20 and free transport is available from all over West Cork with your ticket! The countdown is on to Skibb Beats and final preparations are underway. Skibb will be buzzing! Get your tickets from Ticketmaster.ie or from The Paragon in Skibbereen! 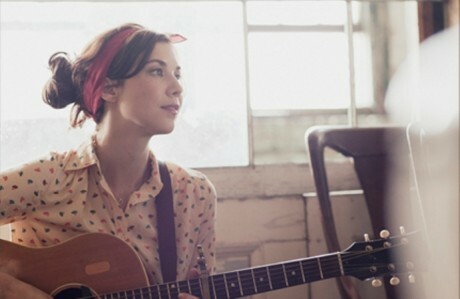 Lisa Hannigan, Mick Flannery, Chic & many many more – see line up! 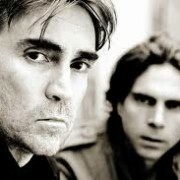 Tickets are available from Ticketmaster outlets nationwide, 24hr Ticket Hotline 0818 719300 or www.ticketmaster.ie. Ticketmaster outlet now available at Crowley’s Newsagents on Townsend Street, Skibbereen. Local Food Heroes . Discussions . Demos . Debates . Farmers Market and more. The Children’s Festival is running from the 23rd – 29th July. Skibbereen Arts Festival was set up in July 2009 and over the course of the last three years, it has gone from strength to strength with local people and tourists alike enjoying an eclectic mix of arts and entertainment in varying locations around Skibbereen town. Skibbereen Arts Festival aims to showcase the best of national and international talent alongside the best work from West Cork. 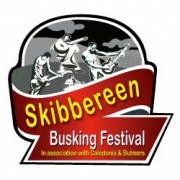 This year Skibbereen Arts Festival will run from 23rd July to 4th August featuring an action packed Children’s Festival, concerts, theatre, poetry, art exhibitions, film screenings, comedy, workshops as well as free outdoor/lunchtime events in varying locations around Skibbereen town. Or Email info@skibbereenartsfestival.com for more information. In association with Caledonia & Bulmers on Thurs 28th, Friday 29th, Sat 30th of June and Sun 1st of July. 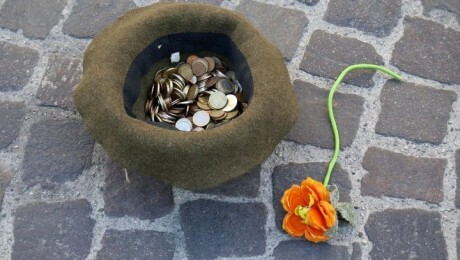 €30 registration fee and €20 of this will be refunded after first busk…. Finalists must be available on Sunday 1st of July between 3 and 7pm. The 4 Of Us Concert. Popular Irish band The 4 of Us will entertain the crowds on Sunday in the town square from 6-8pm with their most famous hits “Mary” and “She hits Me”, there new album has been noted as their best yet described in The Mail on Sunday, “Fingerprints boasts 12 tracks of immense quality…and this is the best album The 4 Of Us have made…… While The Herald noted “you could have heard a pin drop during Blue from the new album, a gorgeous and moving song” ensuring a St. Patrick’s weekend not to be missed. The town of Skibbereen is set for a St. Patrick’s weekend to remember with a host of events taking place this weekend. This year the festival parade will begin at 2.30pm on Ilen St. and continue to the town square, allowing more people to come along and enjoy the spectacle. “The Soul of the Southwest” is the theme of this year’s parade, in-keeping with the town’s tagline. More groups than last year are set to join the parade, making it a perfect family occasion. 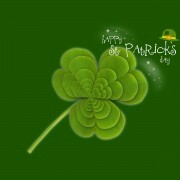 There will be an Irish Music session on the street prior to the parade. Skibbereen Vintner’s Association also plan to put the town on the map as Capital of the Paddy’s this year with a number Paddy only events between 8-10pm on Saturday evening. Anyone by the name of Paddy will also have a special pass to enter the parade by gathering at Cahalane’s bar on Bridge St. to register for a fun day of Paddy celebrations! One lucky Paddy will be crowned “West Cork Paddy” after the parade to win a cash prize as well as gaining celebrity status for the weekend! All Paddy’s should wear green and bring one form of identification to prove their eligibility to take part and all those registered will receive a voucher for a free pint in one of the town’s pubs. Later in the evening pubs will host special Paddy events including fancy dress, singing and talent contests, welly throwing, and more, making it a proud day to be Paddy! Participating bars include: the Corner Bar, Baby Hannah’s, the Eldon Bar, Calahane’s Bar, Annie May’s Bar, The Fair Field Bar, The Horse and Hound, Cotters Bar, The Paragon Bar, and Kearney’s Well. Popular Irish band The 4 of Us will also entertain the crowds on Sunday in the town square from 6-8pm with their most famous hits “Mary” and “She hits Me”, there new album has been noted as their best yet described in The Mail on Sunday, “Fingerprints boasts 12 tracks of immense quality…and this is the best album The 4 Of Us have made…… While The Herald noted “you could have heard a pin drop during Blue from the new album, a gorgeous and moving song” ensuring a St. Patrick’s weekend not to be missed. Not forgetting that Sunday the 18th is Mother’s Day prior to listening to ‘The 4 of US’ a selection of Restaurant’s in Skibbereen are serving extra special lunch options to celebrate the special ladies in our lives. 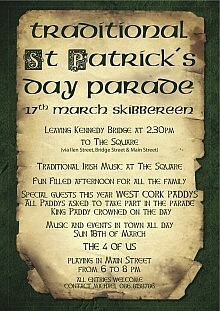 Skibbereen is the place to be for St Patrick’s weekend!!! This is the main fundraiser for the year. The dinner takes place at 7.30 p.m. Tickets are €40, are available from Clearys Pharmacy , Cahalanes Bar or by contacting Don Davis at 0870601723. 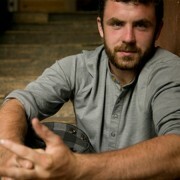 Music and dancing by Mystic and a charity auction by auctioneer Morgan O Driscoll. The Annual Skibbereen Christmas Parade takes place Friday 2nd December. The parade leaves the West Cork Hotel at 5pm and Santa Claus will be brought by the Fire Brigade to the Square. Comhaltas Ceoltoiri will perform and Santa Claus will turn on the lights in the Square with the Lord Mayor. He will then offically open Winter Wonderland – disco afterwards, weather permitting. All are welcome to attend this fun parade. The town of Skibbereen in West Cork is taking the advice of Marie Antoinette this Budget Day with a unique “Let them Eat Cake” event. The feel good day is an attempt to banish all thoughts of the gloomy budget with a host of free special talks taking place in the Town Hall from 3pm. Local café and restaurant owners will also take to the streets to hand out free cakes to shoppers while more than 20 businesses will offer 10% discounts on all purchases between 3pm and 6pm. Many bars will also have live music to ensure a long night of revelry! The idea for the event came to local acupuncturist Anne Crossey of The White Door Clinic after hearing many of her clients speak so fearfully of the impending budget. Anne set in to motion the special Town Hall event while Skibbereen Business Association got behind the idea and encouraged all businesses in the town to offer special deals from 3-6pm to banish the negativity which will be transmitted to screens and radio waves all over the country during that time. The town hall event will open with a special address from Councillor Frank Fahy, Mayor of Skibbereen followed by free talks on a range of inspirational and feelgood topics by Anne Crossey (acupuncturist) , Micheál Hurley (West Cork Employability Service), Brendan Leahy (local councillor and paramedic), Rob Heyland (actor, writer and activist) and Matt Mills (WCDP, Sheep’s Head Co-Op, Transition Ireland). The event will finish at 6pm with a performance from West Cork Pipes and Drums. Speaking of the event, Sean Murray, Chairperson of Skibbereen Business Association said “This year’s budget will be a memorable one for all the right reasons in Skibbereen thanks to this positive event. It is too easy to be negative about what is going on around us but events like this can and will bring businesses and locals together. Undoubtedly there are more tough times ahead but if we work together then we have the power to change things for the better and that’s what this event will be about. I would also like to thank Skibbereen Town Council for the use of the Town Hall for the event and for their support”. Also speaking of the “Let them Eat Cake” event, Anne Crossey said “West Cork is full of kind, generous and imaginative people. If we can pull together as a country in the way that the people of Skibbereen have pulled together to make this event happen then we can do anything. This is a day for everyone to come into town, have a piece of cake, listen to some new ideas, get a few bargains in the shops and for one day forget the economy, forget the budget, and forget the politicians. “Let Them Eat Cake” is about family, community and fun. It’s been great fun to organise and it’s going to be a great fun day”. More than 20 businesses are also offering 10% discounts to shoppers between 3pm and 6pm as well as lunch deals in cafes while the local Youth Café will also give free cake to all who attend the special Town Hall talks. Kalbo’s Café, North St. will also offer customer a special €5 lunch deal on the day. Elves from Winter Wonderland Skibbereen will also take to the streets at intervals from this Thursday December 1st up until December 24th to reward shoppers in the town with gifts and vouchers from local shops and businesses “Random Acts of Christmas Kindness” in the town. Fiona’s Fashions, Sean Murray Fashions, Wish Gift Shop, Cleary’s Pharmacy, Horgan’s Pharmacy, The Chop Shop Barbers, Hourihane Sports, Kids2Teens, Riverside Café, Caring Hands Therapies, The Beauty Spot Beauticians, Sassy Fashions, Designs Gift Shop, Kalbo’s Café, Annie Mays Bar and Restaurant, O’Sullivan’s Toy Shop, Field’s SuperValu, Seymour Jewellers, Roycroft Cycles, Baby Hannah’s Pub, Newman Signs, West Cork Hotel and Apple Betty’s Café. Santa’s Elves Descend on West Cork Town for Christmas Work! Lapland has moved to Skibbereen, West Cork this year with an influx of elves applying for work at Winter Wonderland in the town. Over 200 elves applied for seasonal work at what is being pitched as the ultimate Christmas experience for children and adults alike. Winter Wonderland which has become a popular attraction in the town for the past number of years is under new management and promises to be bigger and better than previous years with new interactive ideas and special effects to make the visit a truly festive experience. This year’s Winter Wonderland will feature many never before seen elements including – New Interactive Naughty & Nice Machine, Elves Tattoo Parlour, Candy Land and much more. Winter Wonderland will officially open on December 1st with many exciting new surprises which will be completely unique to Skibbereen to make this year’s visit to Santa a truly unforgettable occasion for all the family. Tickets are €15 per child and €5 per adult with discounts for families and a 15% price reduction midweek (Mon-Thurs) up to December 15th. Visit www.winterwonderlandskibb.com for further details. Skibbereen Lions Club is organising a 5K Santa Run on Sunday 4th December from the GAA grounds Skibbereen at 2 p.m.
€3/child. €5/adult. €10/family. Dressing rooms will be available and refreshments will be supplied afterwards. All proceeds shared between 4 national schools in Skibbereen. Skibbereen Business Association in association with sixth years from Mercy Heights, Skibbereen will host a one off fashion extravangaza in the West Cork Hotel on Friday 4th November at 8pm. The “Be Fashion Fabulous” event will exhibit the very best of local fashion, supported by Skibbereen’s local fashion stores, hairdressers and beauticians. The night will include performances from sixth year pupils as well as a special Christmas style makeover slot with a local personality. The event will focus on key trends in fashion for the coming months for men and women with practical tips on how to wear them. There will also be a prize for the best dressed lady and man on the night as well as a host of special prize giveaways and an exclusive goodie bag for the first 150 people on the night. There will be a host of fabulous prizes to be won on the night. 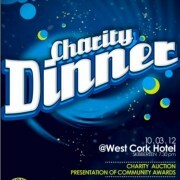 Tickets for the special fashion event are just €10 and will be available on the night at The West Cork Hotel. 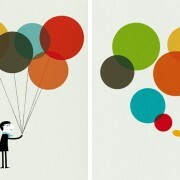 Join the trail and win 3,000 Euro! Max of 40 points can be scored! 2 points for fancy dress costume. Max 10 points at each of 4 trail pubs. Each pub will set out puzzles/games/questions, etc. Winner of €1,000 Announced at Cotter’s Bar Bar 11.30pm Friday. Winner of €1,000 Announced 10.30pm Saturday. Follow trial set out by registered pub! The following businesses in Skibbereen have special offers available to participants in the 2011 SouthCoast Endurance Race. Offers are valid until 30 November 2011 (unless otherwise stated) on presentation of your race number. You may avail of each offer once only. Good luck in the race! Wish is an accessories and gift shop on North Street in Skibbereen. We stock a marvellous range of handbags, jewellery, scarves, belts and other interesting pieces with the emphasis on quality and value for money. We’ve been here 4 years now – we started with the recession! What do you feel is unique about business in Skibbereen? Skibbereen is a combination of a vibrant local town and a busy tourist town. So we have loyal local customers year round as well as visiting tourists at holiday times. The best of both worlds. What do you feel is key to business success in Skibbereen? For us, it is constantly sourcing new and different products for our customers and offering a high standard of customer service. The business community is important too – supporting each other, promoting Skibbereen together. What is your opinion on using the internet to bring in more business? Are you using social media to market your business? The date for this years event is now fixed for Saturday the 22nd October so you can pencil it into your diary. 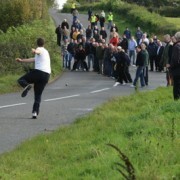 Hopefully we will have another Indian Summer’s day like last year which helped everyone along the course. The course will follow the same route as last year and will finish with an all new purpose-built assault course at the finish line. This is guaranteed to be both challenging and fun….!! Visit the South Coast Endurance Website for full details. A Taste of West Cork Food Festival, which takes place in and around Skibbereen, West Cork, brings together a unique mix of food markets and demonstrations, cookery competitions, special dinners, brunches and banquets, food-tastings, talks, exhibitions, children’s events, guided walks, boat tours and some great live music! 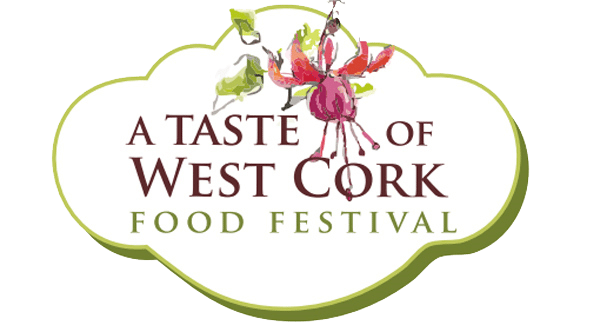 A Taste of West Cork 2011 runs from 9 – 18 September.